Is My Restrictive Covenant Legal Under California Law? It depends . But probably not. Outside of California, courts may enforce these non-compete agreements arising out of an employment contract. Of course, most courts, no matter what the law and state, view them skeptically. In California, however, the policy against these agreements is particularly strong. A restrictive covenant is often part of an employment agreement that restricts the employee’s actions after leaving employment. They typically prohibit the employee from competing in particular markets for a period of time after leaving the employer, but may also keep the employee from soliciting the company’s customers or even employees after leaving. They are, unquestionably, restraints on trade. But are they unreasonable restraints on trade? In many states that is the issue—if they are reasonable, a court will enforce them. What does reasonable mean? Again, it depends. But typically, like other restraints on trade, they must usually be narrowly tailored to serve their purpose. They should contain “reasonable” limitations as to time, geographic area, and scope of activity. The laws, of course, vary from state to state. But as a practical matter, most judges are skeptical. Some courts will actually rewrite the agreements to make them reasonable. The purpose of these restraints is to offer protection to an employer that must necessarily share trade secrets and sensitive customer or financial information with their employees. The concern is that this information is so sensitive and easily exploited by a competitor that the employer needs the restrictive covenant to keep an employee from leaving and benefiting from the information as a competitor. It also reduces the likelihood of free-riding on training. Despite these benefits, California law and courts take a hard stand against certain restrictive covenants. 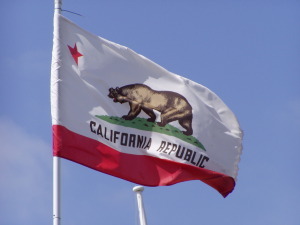 The California Supreme Court in Edwards v. Arthur Anderson LLP explained, for example, that “judges assessing the validity of restrictive covenants should determine only whether the covenant restrains a party’s ability to compete and, if so, whether one of the statutory exceptions to Section 16600 applies.” (exceptions include the sale of goodwill or corporate stock of a business). It is less clear in California, however, whether courts will enforce a covenant that prohibits an employee from leaving and soliciting employees from the employer. And, of course, an employee agreement not to use or disclose their employer’s trade secrets are enforceable in California. A potential litigation issue here is whether particular information is, in fact, a trade secret. Like any restraint of trade, if you are dealing with a restrictive covenant agreement of any sort, it is best to seek counsel from an attorney that can help you navigate the law, which is not always clear. If you are in California, you can pretty much bet that if the agreement prohibits an employee from competing after employment, it won’t survive judicial scrutiny. Of course, there are exceptions that apply outside a typical employment arrangement. This is an example of a business litigation issue that, although not analyzed under the federal antitrust laws, introduces competition issues that antitrust lawyers think about every day. A restrictive covenant is, like many activities prohibited by the antitrust laws, an agreement not to compete—a restraint of trade. They aren’t typically federal antitrust violations because they are ancillary to a legitimate employment agreement and aren’t considered unreasonable restraints of trade. Of course, if two or more employers agree not to hire each other’s employees, the federal antitrust risk is substantial. This could be a market-allocation agreement, which is a per se antitrust violation. If you have questions about an agreement that you think restrains trade or are considering a restrictive covenant, please contact us at Bona Law PC and we can walk through it with you.